During the boom of the housing market, it was very common for a buyer to find that he was one of multiple offers when buying a house. But the real estate market in Tallahassee has changed, where people who want to sell a home are many, and buyers are few. So if you are fortunate enough to be in a position to buy a house in this market, you should expect to have far less competition than you might have seen seven years ago, right? You certainly wouldn't expect everybody to want the same home, but the fact is that the internet has empowered homebuyers to find the best deals on the market. The reason that we see multiple offers when buying a house is because the best property search tools allow buyers to eliminate overpriced homes and find the true gems in the market. Basically, you can no longer fool a buyer, the value of your home will be determined by comparing it with the rest of the homes for sale at the time the buyer is ready to choose. The doughnut graph at the right shows that such a small portion of the homes for sale are priced aggressively, and we know that buyers will gravitate towards these homes (our Progressive Marketing Plan for selling a home relies on pulling multiple buyers to the same property). So if you have found a great deal in the Tallahassee housing market, it is likely that other buyers in your price range have found it too. This is why knowing how to buy a house and making a compelling offer are so important when you find the home that you really want. Ultimately, the real estate company and the real estate agent that you have chosen to hire will help you decide the route you are going to take. The need for you to trust in the instincts and experience of their guidance is critical, thus choosing the right real estate agent long before you find a home is critical. Most people try to choose a house, and they sort of default to the "agent that came with the house." 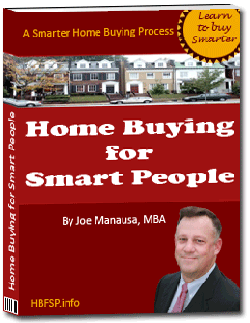 This backwards process has cost home buyers millions of dollars, yet it is so easy to avoid. If you find yourself in this position, ask your real estate agent what she thinks the property will actually fetch. 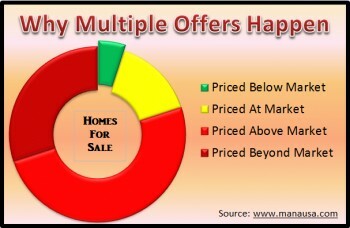 It is possible, and perhaps likely, that the home will sell for more than the asking price. You should give no concern about what you pay versus the asking price, rather you should focus on what you pay versus it's real market value. If you really want the home, and the value is there, make an offer that will most likely best your competition. On the other hand, if you feel that you have only found a home priced with the market, and you don't absolutely love the home, let the other buyers fight over it. The biggest mistake that I see in cases of multiple offers when buying a house is that buyers walk away from their dream home because they would need to pay more than the asking price to buy it. This is crazy. Is it a good deal, or is it not? That should be the only concern. Remember, smart home sellers want to create this scenario to get top dollar for their home, so when you find a home that you love, and you know that it is priced aggressively, avoid multiple offers when buying a house by writing a compelling offer immediately. If you wait until tomorrow, you might have invited competition to the table. And if you are ready to begin the process of buying a home, just drop me a note and we will schedule a time for you to discuss who to hire and what to expect, not just quickly get you excited about a home. If you find yourself competing with multiple offers when buying a house, you'll be glad you took the time to get the right team working for you.